DC Sports started as a header design outfit contrived by twin brothers and fabricators Darrell and Darrick Contreras. In 1987, American Honda approached the two to build a header for an '88 CRX race car. The design was impeccable, and Honda loved the header so much that they had the Contreras brothers develop products for their other cars, thus leading to the birth of the DC Sports as a manufacturer. Over time, the sport-tuning crowd caught on to the precision and attention to detail that DC Sports put into their products and made the company a household name among average consumers and aftermarket companies alike. 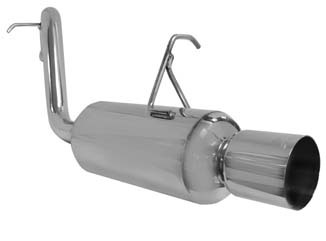 DC Sports eventually expanded their product line up with a wide range of components including exhausts, chassis stabilizing equipment, and other accessories. The part number for this item is: SCS6401 and it fits 2003-2007 Scion xB Models.